All of our offerings include sailing on a traditional schooner, touring remarkable sites, and swimming (masks, snorkels, and flippers provided). Do you need a magician, birthday cake, or D.J? We can organize all of the details so that your birthday wishes come true! We are ideally located in front of Marseille’s main City Hall, on Quai d’Honneur on the Vieux-Port. We will be honored to host your party on board: reception or event on the quay, ceremony at sea, or a sunset party with music. An original idea for an unforgettable party! Surprise and delight your closest friends when you cast off for a day of leisure and adventure: raise the sails, discover hidden marine caves, have fun snorkeling and paddle boarding, or simply sit back and relax with a cold drink!… Aboard, the party is on! Different catering options are available. Come and dance to your favorite music! 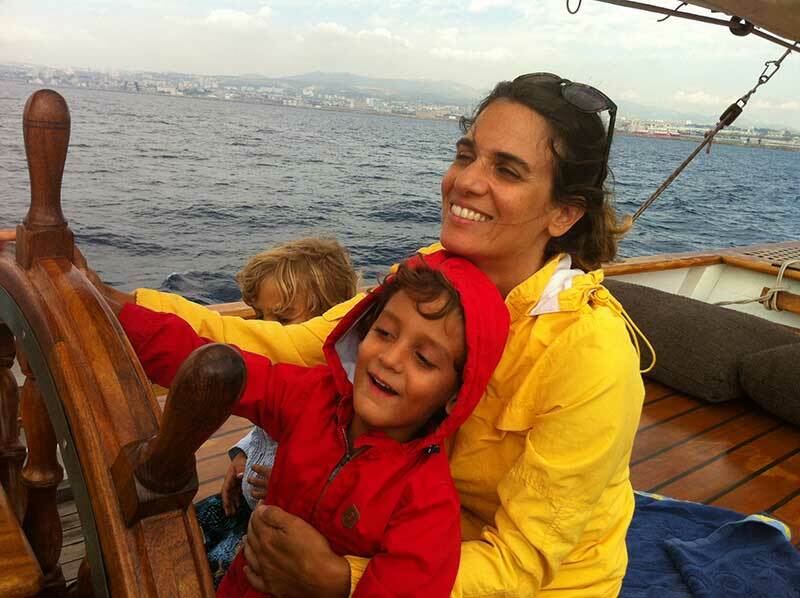 Get together with your family on board our beautiful schooner! 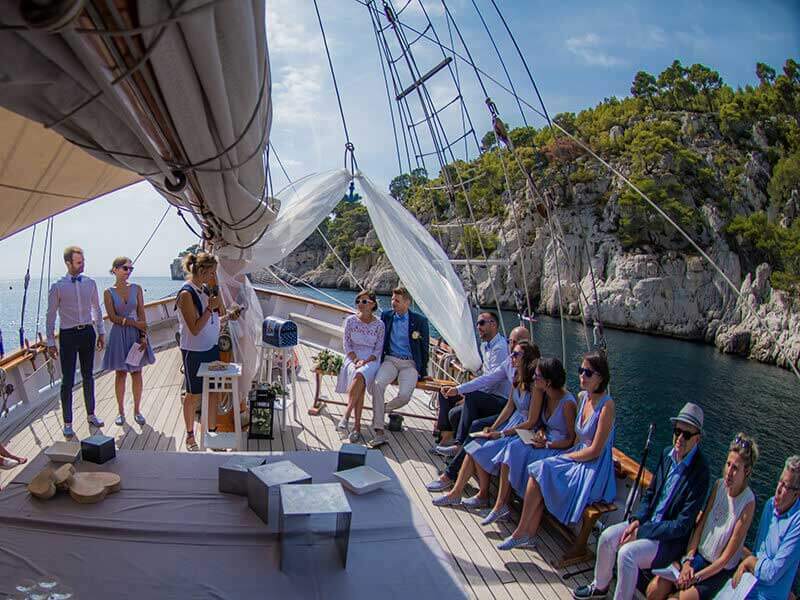 Sailing cruise on a traditional schooner, tour of Calanques National Park, stopover at a beautiful rocky inlet (called a “calanque” in French) to take your time eating, swimming and relaxing: these are great opportunities to share memorable moments with your family. Our crew will be happy to give you an introduction to sailing on an old sailboat. 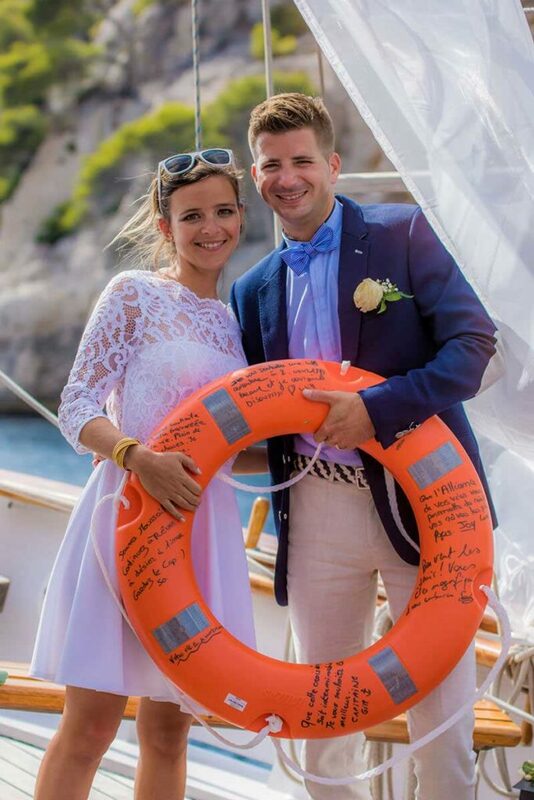 – use of equipment on board: masks, snorkels, etc.